European Union leaders are determined to keep the unity of the EU after Britain voted to leave the 28-nation bloc, the chairman of the leaders Donald Tusk said on June 24, noting the EU had been prepared for such an outcome. Tusk said there was no way to predict all the political consequences of the vote, especially for Britain, but that it is not a moment for “hysterical reactions.””Today, on behalf of the 27 leaders I can say that we are determined to keep our unity as 27,” Tusk said.EU leaders, including British Prime Minister David Cameron, are scheduled to meet on June 28 in Brussels. Tusk said the 27 leaders of countries remaining in the EU would meet informally to discuss how to handle Britain’s decision to leave. 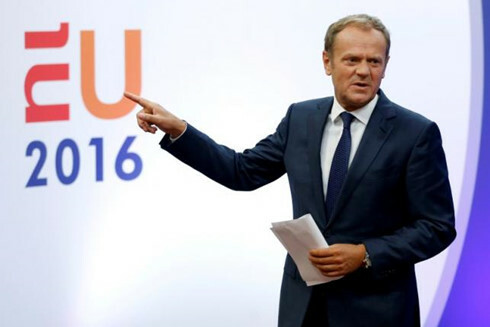 “All the procedures for the withdrawal of the UK from the EU are clear and set out in the treaties,” Tusk said. Cameron said on June 24 Britain would probably make such a notification only in October.